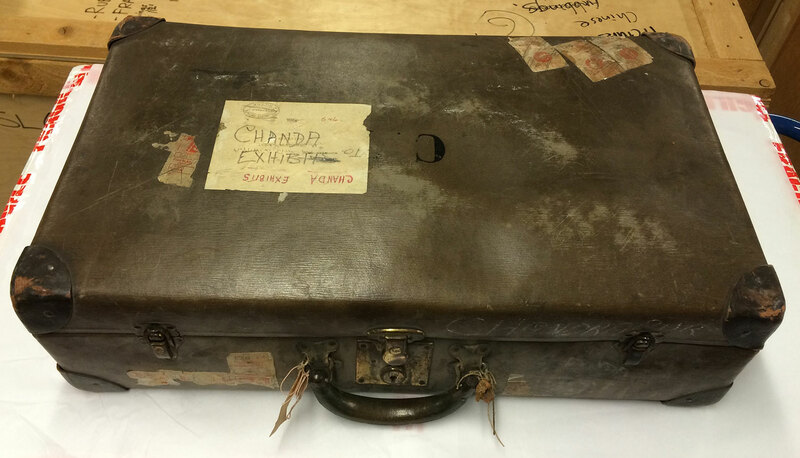 Rosanna invited us to see the photographs she had taken of the trunk and its contents, and although the items originated outwith SWOAM’s time period, a very interesting and productive encounter occurred. Alison’s background in the Scottish Episcopal Church archives helped Rosanna identify some of the background to the trunk, which she has written about in a blog posting on the NMS website. 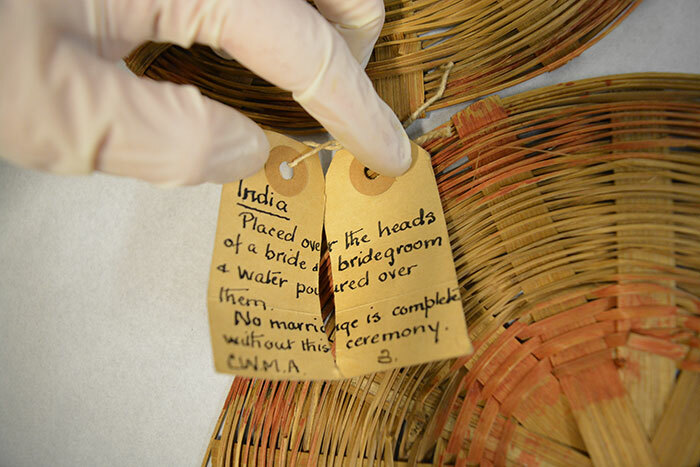 Rosanna would welcome further information anyone might have about these items – please contact her via the NMS site. In this first blog posting, I want to introduce some of the broader themes of the Scottish Women on a Mission project. It is a collaboration between three key scholars. 5. Women Campaigning for Change. In my 2006 book on Scottish missions to Palestine I used Orr’s seminal (and, I think, largely underrated) book – and especially the chapter on women and the missionary movement. My engagement with her text and others led to a number of subsequent publications that examined the role of women in missions, and with a growing interest in gender history and theory, I have sought to develop this under-researched area. This interest has been fostered in numerous conversations with my colleague, Alison Jasper, and one of my former PhD students, Rajalakshmi Nadadur Kannan. The three of us will be working closely together, and in time we hope, with others, on a longer-term project that seeks to explore Scottish Presbyterian and Episcopal missionary activity in the period 1918-1948. We will be studying a number of geographical areas, including Palestine, China, India, and West Africa. Of equal importance will be the reflection on Scotland and the impact of missions on women and the churches in the ‘home-land’ and not just their ‘host-lands’, as is often the case with mission histories. The terms ‘home-‘ and ‘host-land’ were used by T. M. Devine (2011) to describe the transnational connection between travelling Scots’ places of origin and their destinations. We want to apply this very specifically to women who served the churches’ missions in various ways, whether as missionaries themselves, as wives of male missionaries, or as Scottish supporters of missionaries. We will be studying missionaries from the Church of Scotland, the United Free Church of Scotland, and the Scottish Episcopal Church, offering numerous opportunities for comparative work. The period we are choosing to study is marked by numerous changes in Scotland and around the world: the emergence of the idea of the ‘new woman’, World War One, the liberalisation of women’s position in society, the Great Depression, World War Two and the emerging independence of former imperial possessions – the creation of Israel in what was Palestine in 1948, the Chinese revolution in 1948/9, and Indian independence in 1948. Women who, between 1918 and 1948, served as missionaries, would have experienced some or all of these global events, and their self-understanding and world-view would have been substantially shaped by them. Missionary work at home and abroad was informed by these self-understandings, which were further challenged by their engagement in the mission field. This process of challenge and change, and the way it was managed by different women, will be our primary focus. As our work develops – slowly, at first, we expect – these pages will offer insights into our work that go beyond the publications that we will also be pursuing. We have plans for various forms of collaboration and dissemination, and welcome all enquiries. Do follow our work by email or on social media – see the links at the bottom of every page. Please do contact us with any questions, either individually, or if you want to make a general enquiry to me as project leader, use the contact page.